After many-a-requests I’ve decided to do an article on how you can work with an Azure-hosted SQL Server and consume that data in SharePoint 2010. In this article I will discuss and guide you through how you can utilize the power, scalability, flexibility and awesomeness that comes with the cloud. By following this article you will get an introduction to how you can work with SharePoint together with Windows Azure to store business data. This article will be an introduction to developing SharePoint solutions to work with Windows Azure, and in later articles I will discuss other approaches where Windows Azure may be a good solution to incorporate in the plans for your organization together with Office 365 and SharePoint Online. 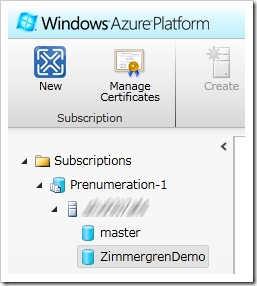 Please note that this article is NOT intended to be an introduction to setting up Windows Azure. Its an introduction to setting up the connection from SharePoint to SQL Azure. More in-depth articles are coming up later. Please note that in SQL Azure you’d need to hook up the IP-address of the machine running this code or service in order to enable it for connectivity with the SQL Azure database. 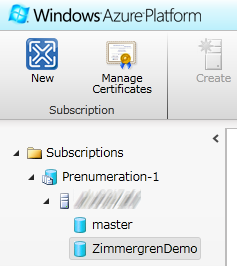 You’ll see more about that in your SQL Azure portal. In this section I will talk about how we can create a connection to our SQL Azure database from SharePoint by utilizing BCS. 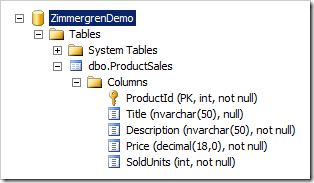 I will for the ease of demo use SharePoint Designer to set it up – and to prove that it works! 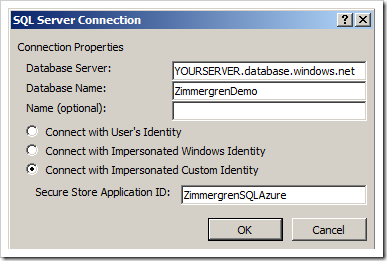 In order for the BCS runtime to easily be able to authenticate to the SQL Azure database (which is using different credentials than your Windows Server/Domain), you can create a Secure Store application and use that for authentication. Voila! 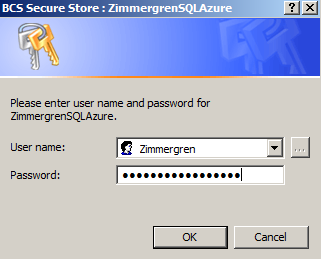 Your Secure Store application is setup, now let’s move on to working with the data in our SQL Azure database. Now that the SQL Azure database is available and your Secure Store application is configured, it’s time to get the BCS up and running with SharePoint Designer. The first and foremost option to get up and running quickly is of course to hook up an External List and be able to see your data straight through the standard SharePoint UI. For a detailed step-by-step instruction for the whole routine to set up a new BCS connection, please refer to my previous articles. 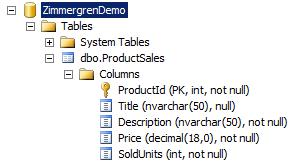 Launch SharePoint Designer and create a new External Content Type and select the SQL option for the data source. 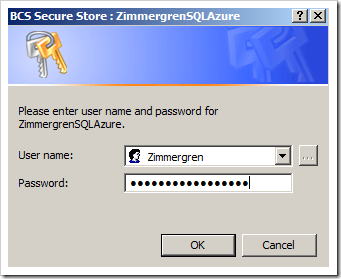 Enter the information to your SQL Azure database and the application ID for your Secure Store application. Once that is taken care of, you will be able to follow the normal routines for configuring your BCS connection. In whatever way you prefer, create an external list for this External Content Type and navigate to it. You will probably see a link saying “Click here to authenticate“. 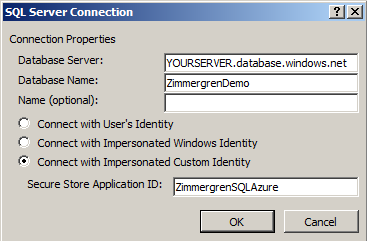 I probably don’t have to explain that this is where you’ll enter your SQL Azure User Name and Password to make sure your BCS connection authenticates to your SQL Azure database properly. Okay, when the external list is created and you’ve configured the authentication – you’ll see your data flying in directly from SQL Azure into your SharePoint external list for consumption! And as always, the coolest thing here is that it’s read and write enabled straight away – you can work with the items in the list much like normal items in any list. Sweet. If you don’t want to go with the BCS-approach and just do code directly instead then all you need to do is make sure that you wear the developer-hat and start hacking away a few simple lines of code. Working with SQL Azure is like working with any other data source, so there’s really no hunky dory magic going on behind the scenes – it’s all just pretty basic. 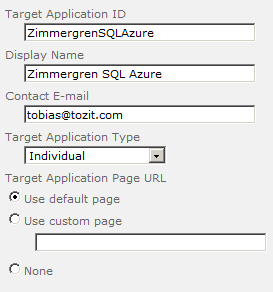 Here’s a sample Web Part I created to collect the data from SQL Azure and display in SharePoint 2010. 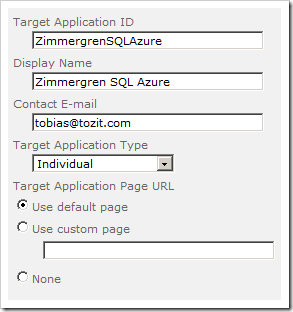 In this article I talked briefly about how you can connect to your SQL Azure database using BCS and then utilize that information from SharePoint – or create a custom solution to access the data. The reason for this article is to show you that working with Azure isn’t a big and scary task to take upon you – it’s actually all very straight forward!